We've compliled this list of the most common questions on class bookings which we encourge you to check as a first port of call if you are experiencing any difficulties. If you are booking via the MindBody app, you can also take advantage of their extensive FAQ section access via the "Profile" tab on the app. Please do not hesitate to contact us if you query is not answered below. How do I book on to classes? We highly recommend downloading the Mindbody App as this is the easiest way to book and cancel classes. Alternatively, you can browse and book classes via the exercise classes page of our website. The class I want to attend is showing waitlist only - can I still book? We always advise to add your name to the waitlist for any class showing as full. There is a significant chance that a place will become available due to cancellations nearer the time. I am trying to book a single class but I am only being offered the Unlimited Offer - how can I book the single class only? Classes become available for booking a week in advance for non-members. However, classes open for booking two weeks in advance for members and those on the Intro Offer. The ability to book classes more than a week in advance is reserved for members and those who purchase the Intro Offer. Alternatively, simply wait until a week before the class date and you will be able to purchase a single class pass as normal. On the app, Go to the Schedule screen. Select the class or appointment you'd like to cancel. At the bottom of the screen, tap on Cancel, then Cancel Booking to confirm. Similarly, on the desktop, simply login and then select the "My Schedule" tab and then select "Cancel" on the right hand side of the relevant class listing. If the cancellation is made within the cancellation window of two hours before class start time, the pass will still be available to book on to another class. Please note however that all passes have a fixed expiry date of one week after purchase. This means that there may not be another opportunity to use the pass for the same class type within this period. In some circumstances, subject to availability, it may be possible to exchange your pass for another class. Please contact us to discuss if applicable. I have purchased the Unlimited Offer or have signed up for membership - so why is the App is asking me to pay? It could be that your purchase has not synced with the app which happens occasionally. To sync your account with the app and avoid any future problems, please follow these instructions on the MindBody support site. How can I see how many passes I have already used this month? On the app, you can view your past visits by tapping "History" in your Schedule screen. On the web, select "Log In" in the top right of our website homepage to log in to your account. Then select "Visit History" to view your completed visits. How can I view my upcoming class bookings? On the app, you can view your upcoming booked visits by tapping "Upcoming" in your Schedule screen. On the web, select "Log In" in the top right of our website homepage to log in to your account. Then select "My Schedule" to view your upcoming visits. How do I know if I have used all my passes for the month? You can view how many passes you still have available for each month by clicking "Profile" and then "Passes" on the app. The number already used includes those you have already booked but not yet attended. Please note that if you exceed your monthly pass allowance, the app will still give you the option to book additional classes but it will show "Book and Pay Later" rather than the usual "Book". This means that you can still book the class, but to do so you need to either cancel another future booking to release a pass OR purchase a top-up pass. Where additional top-up passes are required, we will contact you to confirm that this will be debited from your account using your existing card details. Why is the app asking me to "Book and Pay Later" for a class next week when I have not exceeded my pass allocation? When you are booking a class for the next calendar month, the system has not yet received your membership payment for that month. So it will always show "Book and Pay Later" for booking for the next calendar month. This does NOT mean that you will have to pay extra for this booking, as long as you remain within your allowance for that calendar month. My credit card has expired or been lost or stolen - how do I change my card details? Unfortunately, card details for membership payments cannot be updated via the Mindbody app. Please login in to the main Mindbody website. Navigate to your profile and update the details in your credit card section. 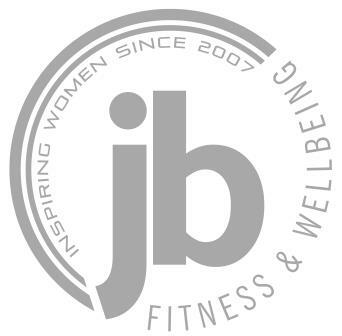 How can I buy JB Fitness & Wellbeing products such as t-shirts, bottles and buffs? To browse our product store, please visit the Products tab on our Mindbody website. Unfortunately products cannot currently be purchased via the app.